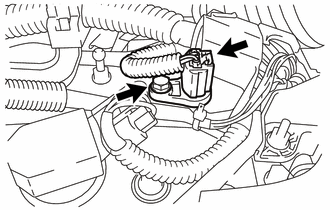 (a) Apply a light coat of engine oil to the O-ring of the camshaft position sensor. If reusing the camshaft position sensor, be sure to inspect the O-ring. (b) Install the camshaft position sensor to the cylinder head cover sub-assembly with the bolt. 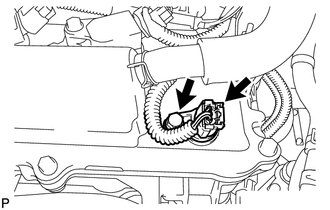 If the camshaft position sensor has been struck or dropped, replace it. Make sure that the O-ring is not cracked or moved out of place when installing the camshaft position sensor. (c) Connect the camshaft position sensor connector. 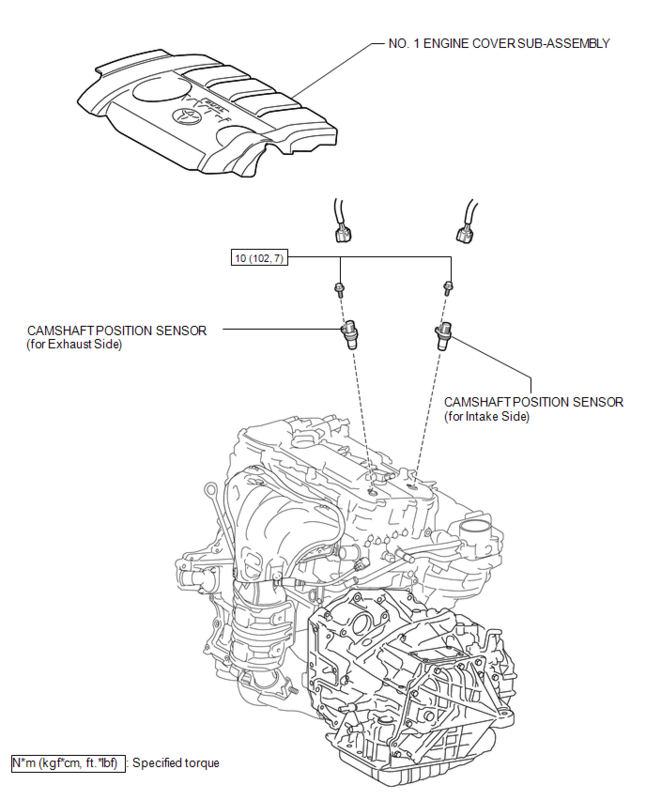 (b) Install the camshaft position sensor with the bolt.